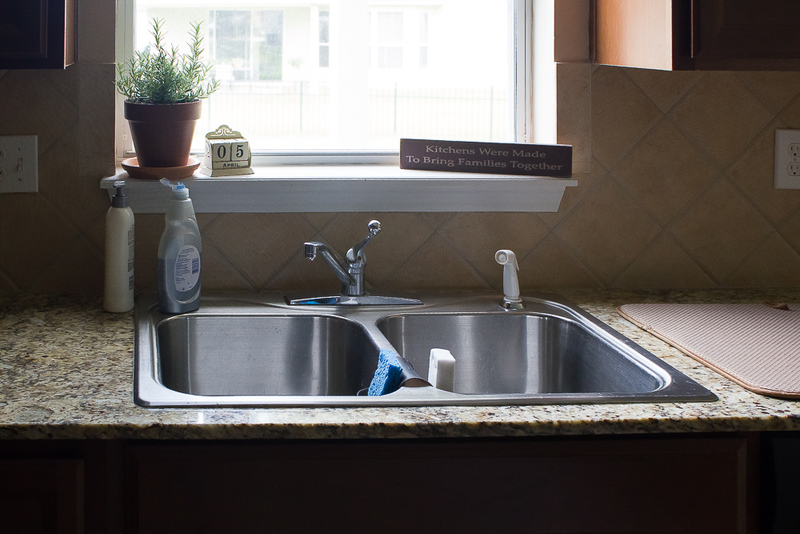 I don’t know about you, but the room I try to keep the cleanest in the house is our kitchen. And despite all the work that goes into cleaning it (everyday cleaning and deep cleaning) it still looks like a battle field… one which we often lose. Our kitchen is gorgeous and it was one of the key selling points when we decided to purchase this home, not to mention, my husband is an amateur chef and enjoys showing off his culinary skills. Tall cabinets, granite countertops and stainless steel appliances are music to anyone looking to buy (or rent) a new home. One thing we overlooked, however, was the generic faucet that came with the kitchen. Shortly after we settled in, we noticed that the faucet also dripped unless docked to one side. Have you ever dealt with raw chicken or raw fish while cooking and tried washing your hands? What happens? You reach for the soap (spreading germs), then touch the faucet handle (spreading more germs), wash your hands and then use your clean hands to turn off the germ-infested faucet handle. And what happens after THAT is anyone’s guess. After mentally playing all of that out, I just want to toss our kitchen towels in bleach and #disinfectallthethings. My apologies to all the germaphobes out there, but all I can think of is SALMONELLA when we’re cooking. Oh, and don’t forget, we have that faucet drip that also needs to be taken care of, so that often means touching the germ-infested faucet handle AGAIN to stop the dripping while we’re cooking. would help create a cleaner cooking environment. When we came across faucets shopping online, we stumbled across the Reflex line of Moen. The Brantford spot resist stainless faucet is the perfect marriage of all of the features that were important to use. Best yet, the Brantford has a self-retracting action in the hand sprayer… inside the faucet! No more pushing the hand sprayer into a little hole in the corner of the sink. No more wrestling with the angle of the sprayer. Moen’s Reflex faucets automatically retract from any distance and angle and returns on its own, naturally. It’s the faucet that puts itself away. Even better, this model also has Moen’s Motion Sense, so no more raw chicken juices getting onto the faucet handle. I can rest easy that we’re not a large Petri dish anymore. How’s that for a makeover? So, was it easy to install? You bet. I can’t believe I was stressed out about installing it. The hardest part of replacing our kitchen faucet was actually removing the old one. We almost hired a plumber to install the new faucet when one of the tightening nuts wouldn’t come off the old one. B actually took a drill bit to it out of frustration (which I highly do not recommend). Luckily one of our dear neighbors took pity on us and saved our marriage the day by removing it for us. Installation was done in about 40 minutes and we haven’t stopped playing with the motion sensor since! Since the sprayer retracts from the faucet handle we no longer had a need for a second sprayer. We removed that one and replaced it with a Moen spot-resist soap dispenser. It was so easy! I never imagined what an impact replacing hardware would do to a room. 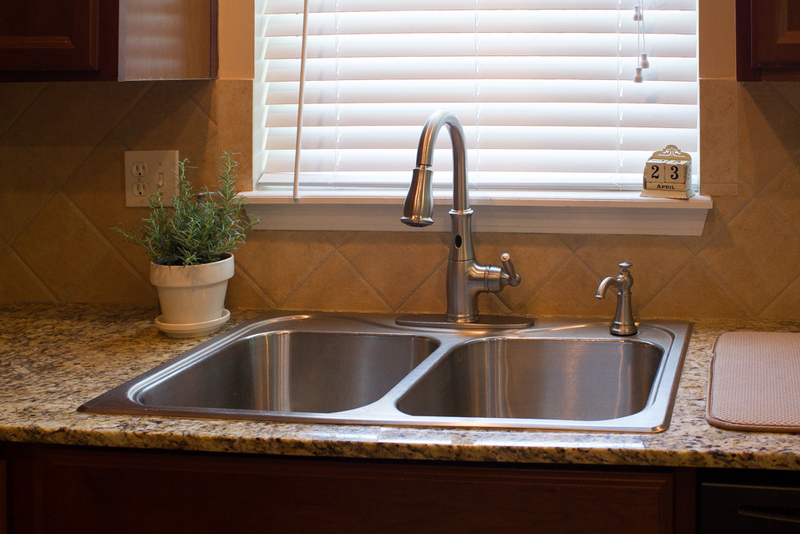 I finished off the kitchen makeover by installing 2-inch faux wood blinds to the window, and adding some greenery to the countertop with a small rosemary plant. Function, aesthetics and aromatherapy all in one afternoon. What part of your kitchen would you love to makeover? Leave a comment with your answer below to enter for a chance to win a $100 Visa gift card! I need a new sink for my kitchen. I would like to makeover the counters, they are too plain. 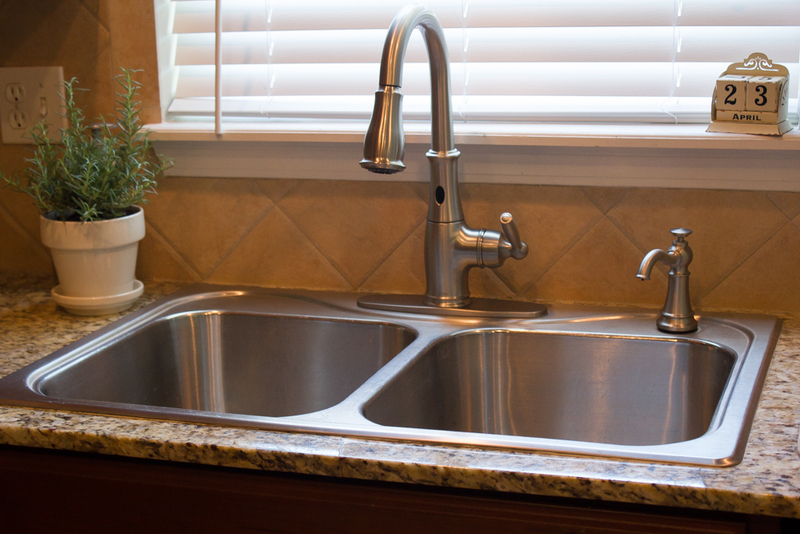 I would love to makeover my kitchen sink, faucet, and counter tops because they look old and outdated! These Moen faucets are amazing! Coincidentally, although really our whole kitchen screams 1973, the inner workings of our 10-year-old basic Moen faucet are worn out and it hardly runs water. So that really is first! I would love really like to upgrade my sink and faucet. I would LOVE a double oven! I’d like to makeover my sink. I wish I had a larger sink and a spray hose. I would love to get new kitchen cabinets and we need a new microwave too. Honestly I would mostly love to update the appliances as well as paint and a new faucet. My kitchen is in dire need of new new caulk along the back splash. 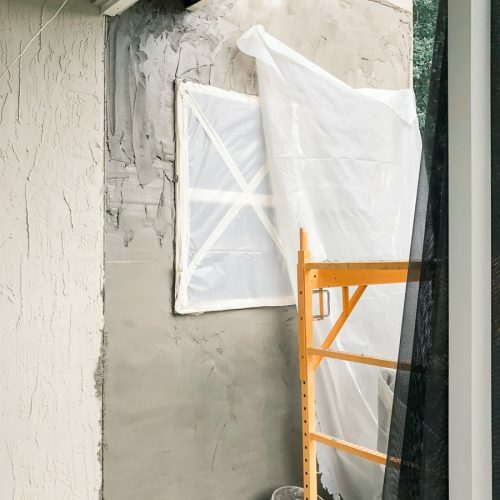 Can you say nasty looking “caulk”? I would love a new sink and cabinets. I would love to have the whole kitchen redone. It’s been fourteen years since it was done last. New counters! Goodness, do they make stain resistant counters? What a stunning transformation. I could definitely use a new faucet in my kitchen. I would love to get new lights. I would love most to get new countertops to replace our existing hunter green laminate!! While I do need a new kitchen (mine is original to the house, circa 1972) I have been wanting a new faucet most of all! 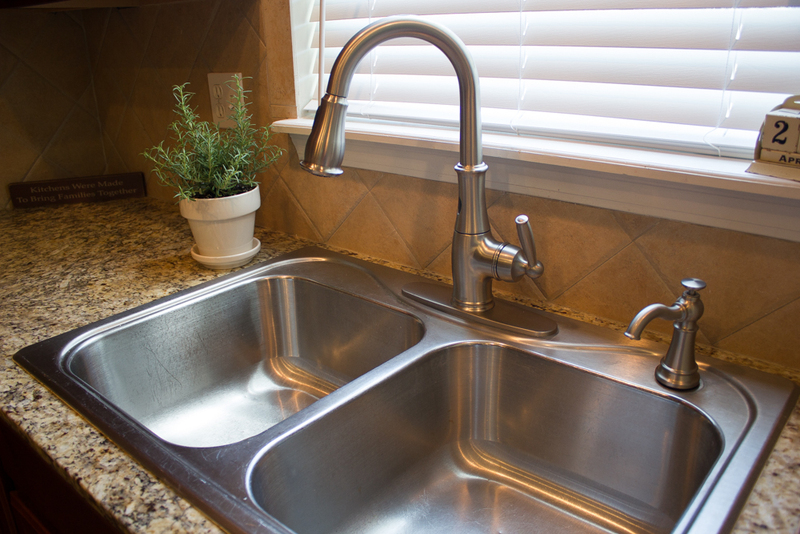 I would LOVE a farmhouse sink with a brand new faucet. love how it turned out! it’s amazing how small changes can make such a big impact. for our kitchen i’m dreaming of updating the hardware sometime soon! I’d love to get new countertops! 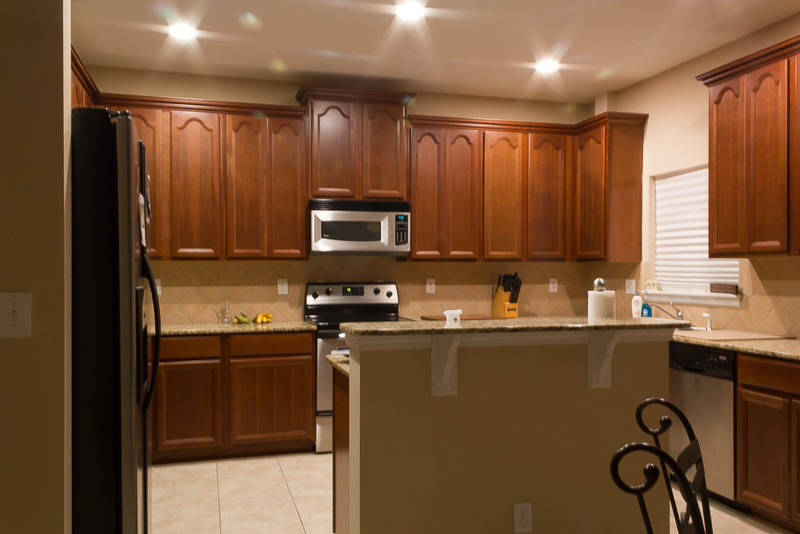 I would love to repaint my kitchen cabinets. 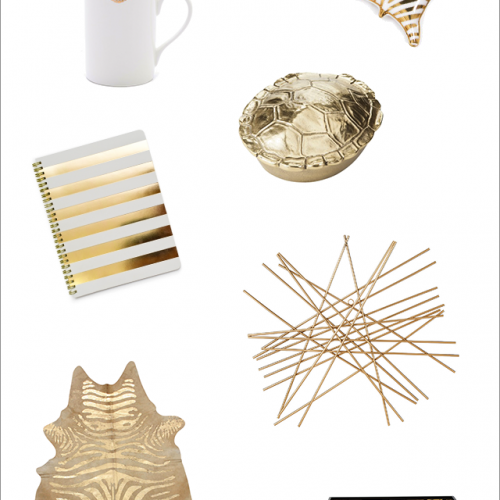 It would make my room so much brighter! 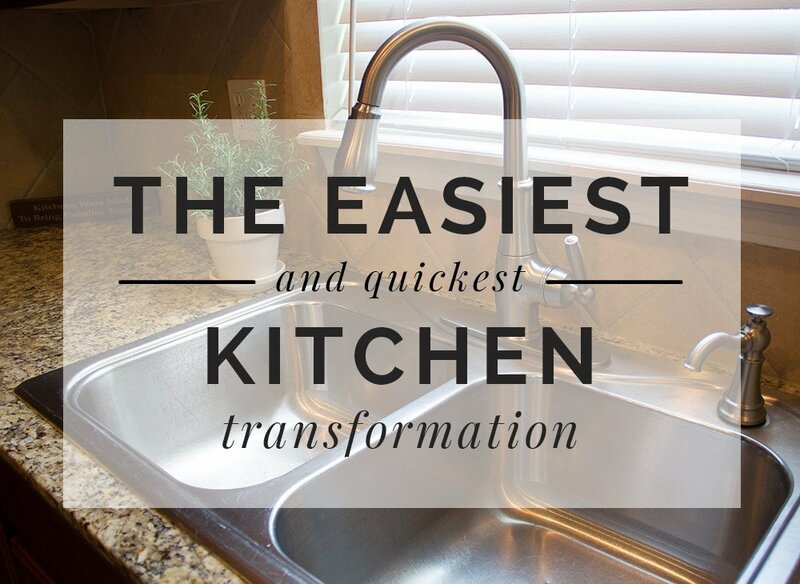 Personally, the whole kitchen needs a makeover but I would first replace the green sink and put in a new faucet that has a sprayer.